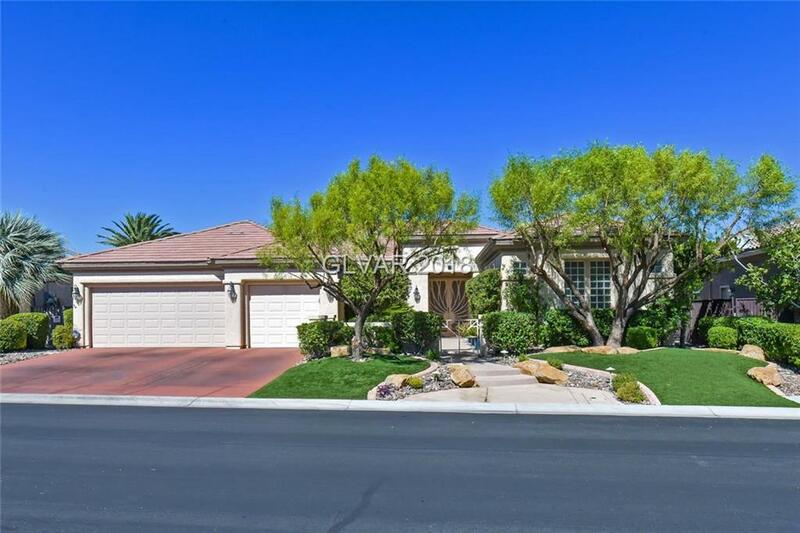 "Top of the World" Breathtaking views of golf course, city, mountains, & strip views inside/outside of this stunning home. Gourmet kitchen features granite counters, island, pullout shelves, skylights. Luxurious 3626 sq ft under 1 roof including garage! 2 Mstr suites. You & your guests will enjoy the backyard of paradise featuring an Infinity pool/spa & waterfall, your own putting green. Golf course entry around the corner. Must see to believe! Directions: Eastern So From St. Rose, Stay L At Split Onto Anthem Pkwy/Turn Right Onto Alyssa Jade Dr, Left Onto Olivia Heights, The Home Will Be On Your Right.